The numerous pockmarks of the Inner Oslofjord, Norway, have been of enigmatic origin and unknown age. Piston cores spanning the holocene were taken inside and outside a single pockmark. The cores were studied with a range of techniques, including X-ray tomography, multisensor logging, gas analysis, pore water geochemistry, radiocarbon dating and biostratigraphy with benthic foraminifera. Supporting information was provided by subbottom acoustic profiling and geotechnical logging using cone penetration tests in parallel with coring. No direct evidence of expulsed gas was detected. Pore water salinity was considerably reduced in the pockmark. Biostratigraphic and radiocarbon data indicate an initial pockmark age close to the base of the Holocene, but with continuously low sedimentation rates inside the pockmark since then. The structure may have initially formed in an ice-marginal marine setting, where mechanisms such as submarine melt water expulsion, ice rafting and rapid isostatic uplift may be of relevance. The data indicate that the pockmark has been active through the Holocene by outflux of meteoric, artesian ground water. These cores also provide new information on the general marine stratigraphy of the deglaciation and of the Holocene of the Inner Oslofjord. 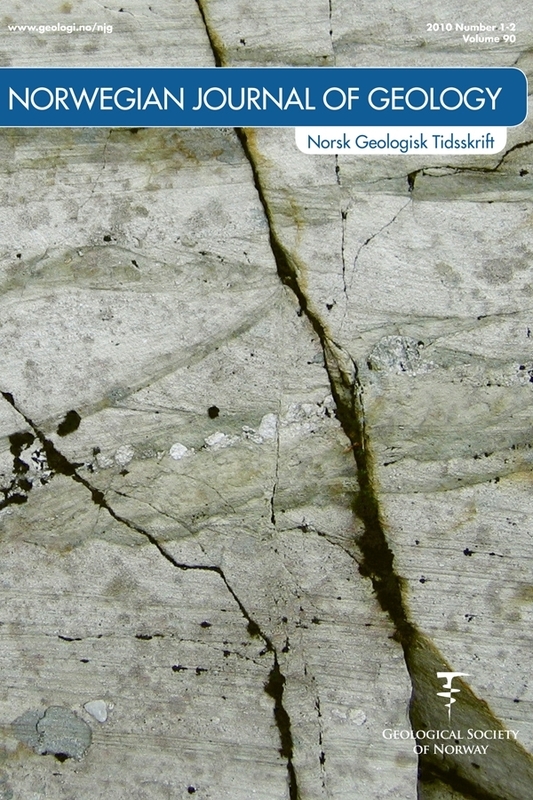 The material includes the oldest dated shell found in the Inner Oslofjord area so far, possibly indicating large, rapid iceedge oscillations in the late Younger Dryas.